The Strokes will play their first UK show in four years at All Points East Festival. The 'Last Nite' rockers – whose last live performance was in 2017 at Lollapalooza Chile – will make their comeback on British soil on May 25, headlining the music extravaganza at Victoria Park in Hackney, London. The five-piece – comprised of Julian Casablancas, Nick Valensi, Albert Hammond Jr., Nikolai Fraiture and Fabrizio Moretti – will be joined by Jack White's band The Raconteurs, Johnny Marr, Interpol, Parquet Courts, Jarvis Cocker, Courtney Barnett, Anna Calvi, Bakar and Viagra Boys. 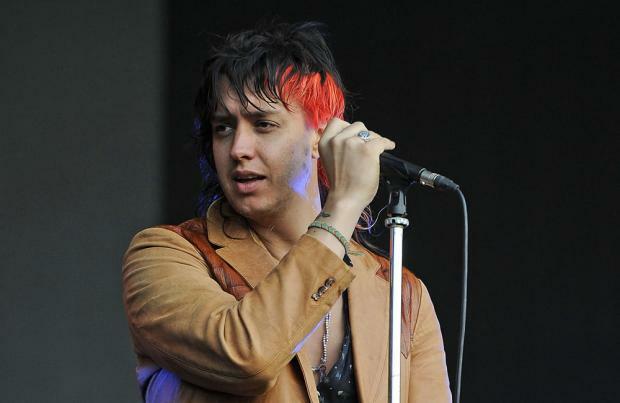 While the group – who formed in 1998 – haven't released an album since 'Comedown Machine' five years ago, frontman Julian toured the UK last year with his band The Voidz. Strokes bandmate Albert previously said they had no plans to "split up", despite his own solo career doing so well. He insisted: "Definitely not, in fact, the bigger were I to get, the more likely they would be to both exist. "I know The Strokes will be a band, whatever. I don't think we'd ever say we've split up because we've been together too long to do that." In 2017, Albert's father claimed that the group had been back in the studio recording their sixth studio LP with producer Rick Rubin. The band denied it at the time, and Julian later took the opportunity to shoot down rumours and admitted he was "focused" on The Voidz. However, he did tease that new music would come out in the future. He said at the time: "I'm really focused on The Voidz right now. Some new stuff will come out soon. With The Strokes, I don't know – there's no news right now." All Points East Festival also see the likes of Chemical Brothers, Bring Me The Horizon, Christine and the Queens and Bon Iver perform between May 24 and June 4.